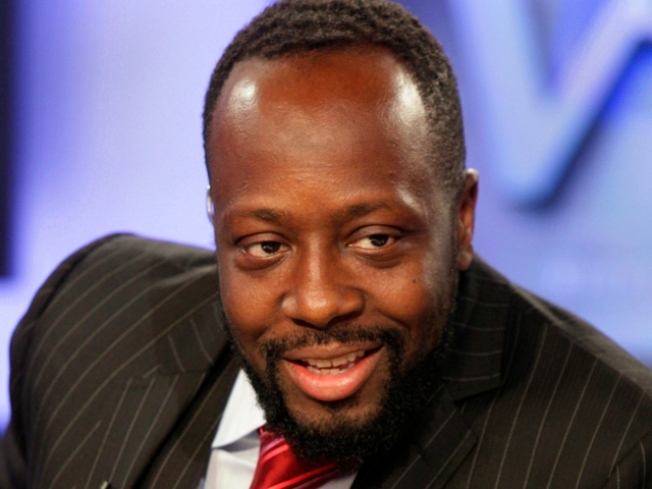 Hip hop artist and presidential hopeful Wyclef Jean said Saturday that as leader he would work to change Haiti's constitution to allow dual citizenship and give many Haitians living abroad the right to vote in their homeland. The issue is central in Haiti where hundreds of thousands have emigrated to flee poverty and the money they send to relatives back home is a vital source of income in the earthquake-ravaged Caribbean nation. Currently, Haitians who emigrate must renounce their Haitian citizenship if they become citizens of another country, making them unable to vote or run for office in their homeland. Jean himself left Haiti for New York City when he was nine, but never sought U.S. citizenship. The former Fugees frontman told The Associated Press that his presidency would be a "bridge" between the Haitians abroad and those living in the country. "The future is dual citizenship," he said, adding that many countries, including the neighboring Dominican Republic, allow citizens to hold two passports. Haitians abroad "should have the right to vote in their country," especially since they send billions in remittances to family members. "If they are the ones who keep this country alive, they should have some kind of say on what kind of government structure there is," the 40-year-old singer said. Jean arrived in Haiti after giving a concert in Belgium. He said it might be one of his last performances for five years if elected. The singer, who appeared relaxed and was wearing a blue Adidas track suit and headphones around his neck, spoke to AP at the main airport in Port-au-Prince. He touched on issues of security, former Haitian President Jean Bertrand Aristide and on what being a celebrity has taught him about politics. "Celebrity has taught me that politics is politricks," he said. "The fact that I'm coming with this with fresh eyes but not naive ears, I think that's a good start." But he spent most of the interview discussing the Haitian Diaspora, concentrated mainly in Miami, New York, Paris and Montreal. People in Haiti have long relied on family and friends abroad to make ends meet. Remittances are the main source of income in the country of more than 9 million people, 70 percent of whom are unemployed and 90 percent of whom live in poverty. According to a survey for the Inter-American Development Bank, 33 percent of Haitians receive cash from abroad and nearly 75 percent of the money is spent on food, housing, utilities and clothing. Food and other gifts are also sent. The average remittance in Haiti is about $150 and those who receive them typically get about 10 transfers a year, for an average total of $1,500, the IDB survey shows. A Haitian's per-capita income in 2008 was about $1,300, according to the CIA World Factbook. Jean noted that over a five-year period, the remittances total almost the same amount that has been so far pledged by donors to help reconstruct Haiti. "To save the country, it's not just going to take aid," he said. "It's going to take investment. That's the message." To be sure, Jean himself has a big hurdle to clear before he actually campaigns for office. An eight-member provisional electoral council is scheduled to decide Tuesday whether Jean will even be listed on the Nov. 28 presidential ballot. According to the country's constitution, Haitian presidents must have lived in the country at least five consecutive years before election day. During the interview with the AP, Jean also said that he will govern in Creole and that he is going to hire a French tutor. Politicians in Haiti traditionally speak mainly Creole and French — the latter for many things being the language of government in Haiti. Jean's American-accented Creole and lack of French are constant reminders he did not grow up here. When asked whether he would allow Aristide — who won elections in 1990 and 2000 only to be ousted twice first by a coup and then a rebellion — back into the country, Jean was circumspect. "I look forward to the return of everyone," he said. He also addressed Haiti's notorious corruption by saying that he wants to pay people a minimum wage and pay public servants on time. "I will exercise my right as commander in chief to fight all forms of corruption," he said. And he admitted that he is going to have to find new lyrics to one of his popular songs, "If I Was President," where he sings that he will "get elected on Friday, assassinated on Saturday, and buried on Sunday." "I think in Haiti you have to care about your security," he said, just before climbing into an armored SUV. "That song for me was a tounge-in-cheek situation. In the next two months, I'm going to make sure I remix this song."